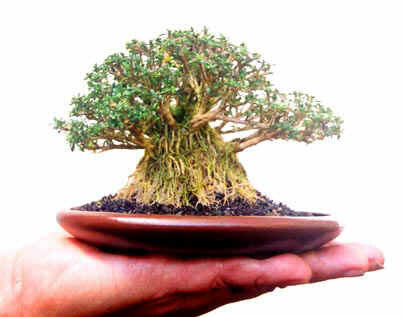 This is the most lovely mame bonsai I have ever seen. Not only because of it's size but also structure, trunk and fantastic formation of aerial roots. The oval pot measures 5 1/2" long x 4 1/2" wide x 13/16" high!